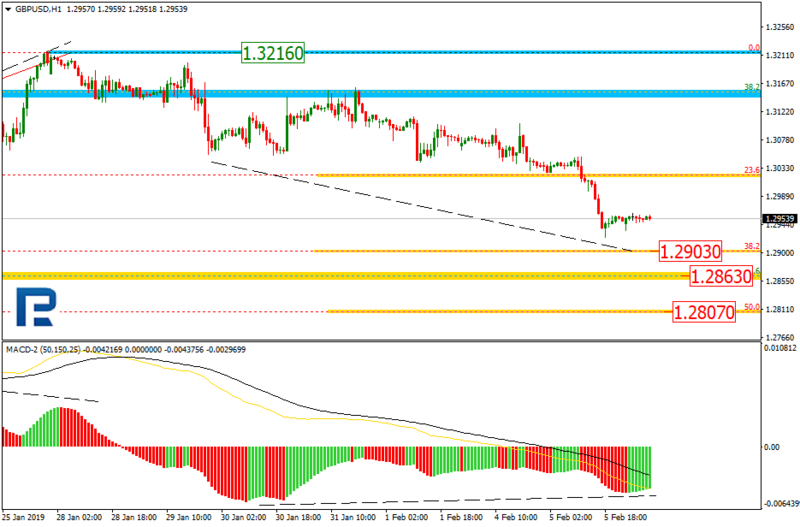 As we can see in the H4 chart, after reaching the retracement of 38.2%, GBPUSD is forming a descending correction towards the retracement of 23.6% at 1.2863. After finishing the correction, the pair may form one more ascending impulse to reach the retracements of 50.0% and 61.8% at 1.3384 and 1.3617 respectively. 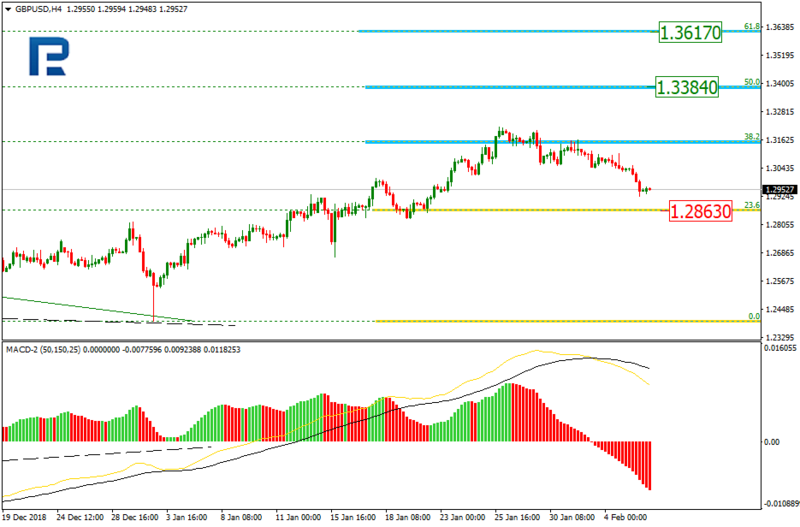 In the H1 chart, the pair is trading downwards and getting closer to the retracement of 38.2% at 1.2903. 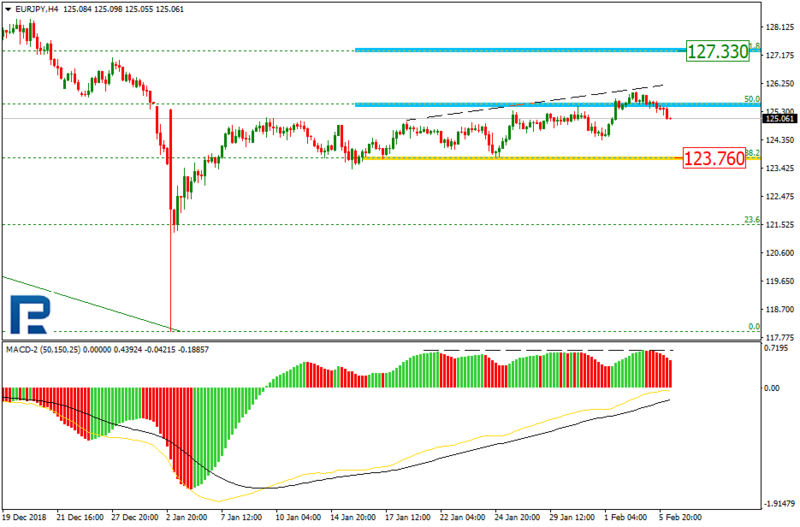 The next possible target may be the retracement of 50.0% at 1.2807. However, there is a convergence on MACD, which may indicate a new rising impulse after the price reaches its target. The resistance level is the high at 1.3216. 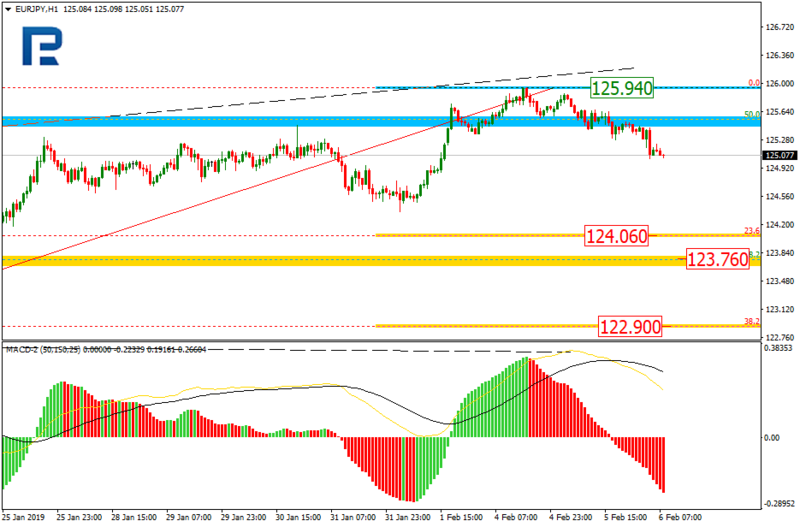 As we can see in the H4 chart, after the correctional uptrend had reached the retracement of 50.0%, there was a divergence on MACD, which made EURJPY start a new decline. The downside target may be the support level, the retracement of 38.2% at 123.76. Another possible scenario implies a new impulse to the upside towards the retracement of 61.8% at 127.33. In the H1 chart, the pair is trading downwards. The targets of this decline may be the retracements of 23.6% and 38.2% at 124.06 and 122.90 respectively.